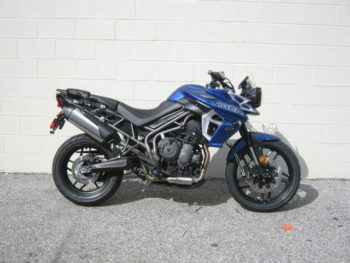 Visit Chesapeake Cycles to see the new Tiger 800 and Tiger 1200 models. With over 50 optional accessories available, we can help you customize your bike to maximize your riding experience with whichever model you choose. Chesapeake Cycles is not responsible for any misprints, typos, or errors found in our website pages. All prices exclude sales tax, registration and title fees, tag fees, and delivery fees. Manufacturer-provided pictures, specifications and features may be used as needed.